What is the Difference Between Dodge vs. RAM? If you’ve kept up with automotive wheelings and dealings over the years, you might know that Dodge and RAM have a long and complex relationship. But if you’re new to the scene, you might be wondering “Well, what is the difference between Dodge vs. RAM anyway?” In short, the modern lineup is considered the RAM brand, while the older generations are Dodge Ram – but it’s complicated. Let’s work through the details of when did Dodge and RAM split with a brief timeline. The Dodge Brothers Company debuted back in 1900, which makes it one of the oldest automotive brands in America. In fact, Dodge has been manufacturing trucks since the late 1910s! But decades later, Walter P. Chrysler merged Dodge with his own Chrysler company to create a powerhouse brand in the automotive industry. The D Series pickup truck, the Dodge Ram, went into production – as well as the Dodge Ramcharger SUV and Dodge Ram Van. Though this brand enjoyed immense success throughout the years, the Dodge timeline isn’t without its list of setbacks. In 1998, Chrysler merged with Mercedes-Benz’s parent corporation, Daimler-Benz AG. Dodge was relegated to an entry-level brand, and sales stagnated. The result was bankruptcy by the year 2009. DaimlerChrysler’s financial setbacks ended in a terrific acquisition from FIAT. And by 2010, Fiat Chrysler Automobiles owned Dodge. FIAT worked hard to restructure the Dodge brand after the fall of the DaimlerChrysler brand. This involved a slight name tweak, and the Dodge Ram and Dodge Dakota became RAM trucks. As of 2010 and beyond, the Dodge name was no longer included on the RAM lineup. This continues to the current day, where models like the RAM 1500 and RAM 2500 have risen to the top of the pickup truck segment. And meanwhile, the Dodge brand is more popular than ever with its wide range of stylish options like the Charger and the Journey. Now that you know more about the Dodge vs. RAM brand histories, why not experience the present day lineup in person? 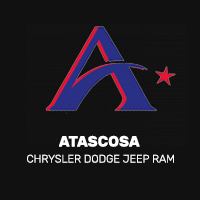 Check out the Dodge inventory and the RAM inventory at Allways Atascosa Chrysler Dodge Jeep Ram. Contact us to schedule your test drive! 0 comment(s) so far on What is the Difference Between Dodge vs. RAM?